Mommy, is that how Daddy’s going to fight the bad guys, Big Guy asked as he looked at an illustration in a school book showing a line of soldiers with pistols aiming at enemy troops separated from them by the width of a roadway, a fence and a field. No, I thought, because a handgun wouldn’t be the likely weapon in a situation such as the one in the picture. Not that I would want a first-grader to look at a picture of a real handgun scenario. No, I said, because the bad guys are different in Afghanistan. For one, they usually don’t wear uniforms, I added, knowing that even that is the subject of debate. Are the bad guys an army? Not exactly, I said. They’re more like a bunch of bullies who go around trying to scare other people in Afghanistan into fighting with them. Why doesn’t the government stop the bullies? Because the government isn’t really strong enough. And because the bullies either threaten to hurt people’s families if they don’t fight with them or they pay them more money than they can make at regular jobs. Why don’t they get better jobs? Because those are hard to find in Afghanistan. The schools aren’t very good, and some people don’t even get to go when they’re kids so they never learn what they need to know to get good jobs. Until a few years ago, girls weren’t allowed to go to school at all. Girls didn’t have to go to school? They were lucky, he said. He left, satisfied for the time being. I realize there are few others whom my explanation would satisfy. Not those on one extreme, who would bristle that I’d never mentioned 9-11. As if a 6-year-old needs to hear about attacks in cities he’s familiar with. Not those on the other extreme, who question America’s involvement in Afghanistan. I’m not even happy with my explanation, because it goes against my usual modus operandi of presenting both sides of an issue and then asking the guys, “What do you think?” I do this even on issues where I have strong opinions, because I believe that questioning your own beliefs and being open to hearing the other side makes you mentally stronger. Sometimes you’ll even change your mind. But for little boys on this particular issue, there is no “other side.” Not when their daddy will be gone for a year or more and they want to understand why. Eventually, when they’re older, they’ll learn what a complicated issue Afghanistan is. 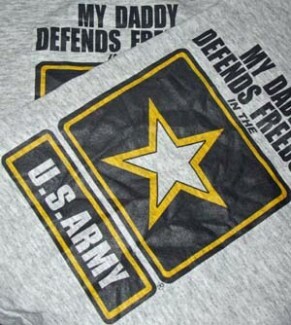 For now, though, Daddy is fighting the bad guys. End of discussion. This is a tough one. I can’t help but wish you didn’t have to have this conversation with your little ones and I didn’t have to try to explain it to Jillie Rose. It is a tough one, Leslie. That’s one reason I’m glad we’re living on post and less likely to encounter kids who might hear something at home that’s contrary to Big Guy’s view of the situation. Not that there’s anything wrong with parents having well-rounded discussions about current events with their kids – that’s actually the method I usually prefer. And that’s one more reason this particular issue is challenging for me.